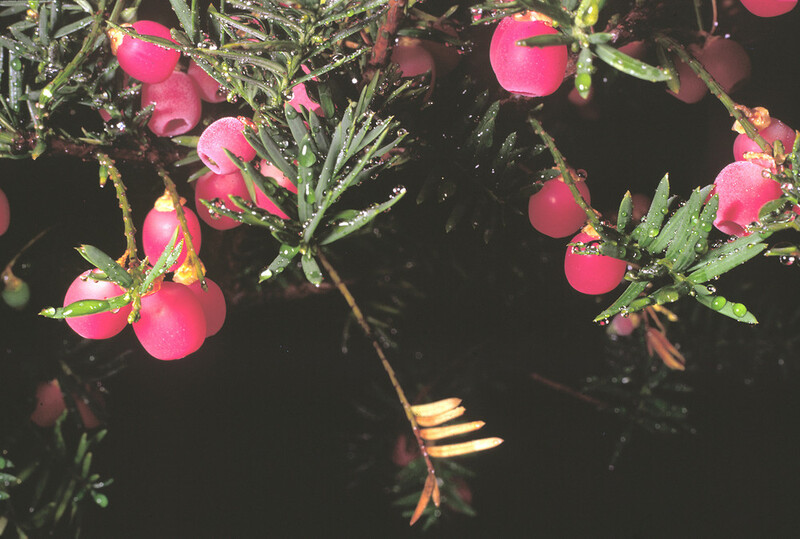 American yew is an indicator species for moist, cool conditions and old-growth forests. 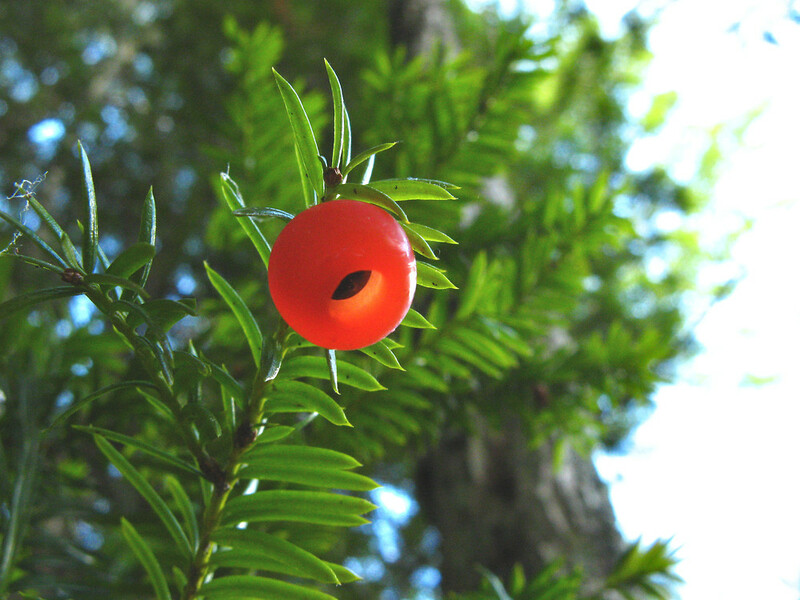 Look for this small shrub in the understories of northern hardwood and spruce-fir forests. 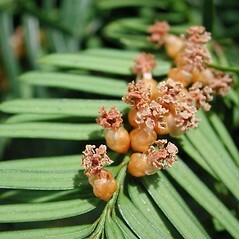 It is the only conifer to produce seeds surrounded by a fleshy, red coating (aril). 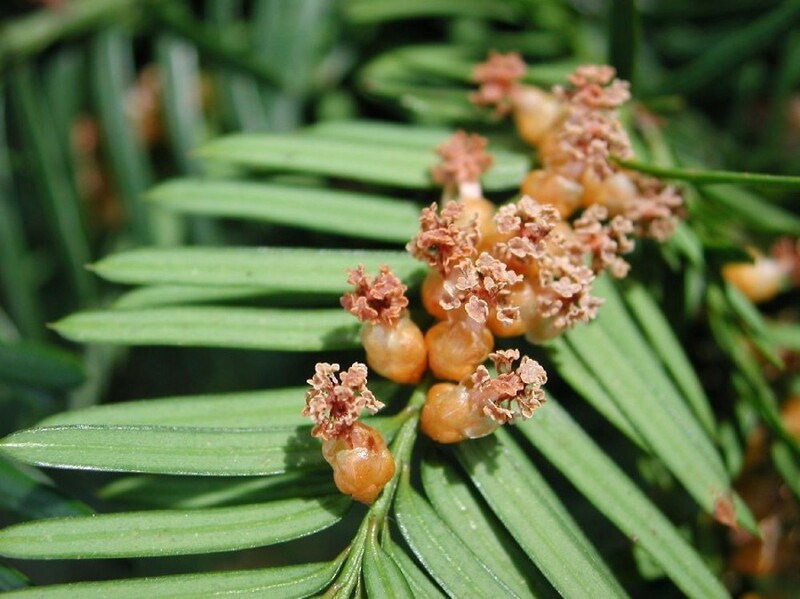 These arils attract many northern bird species. 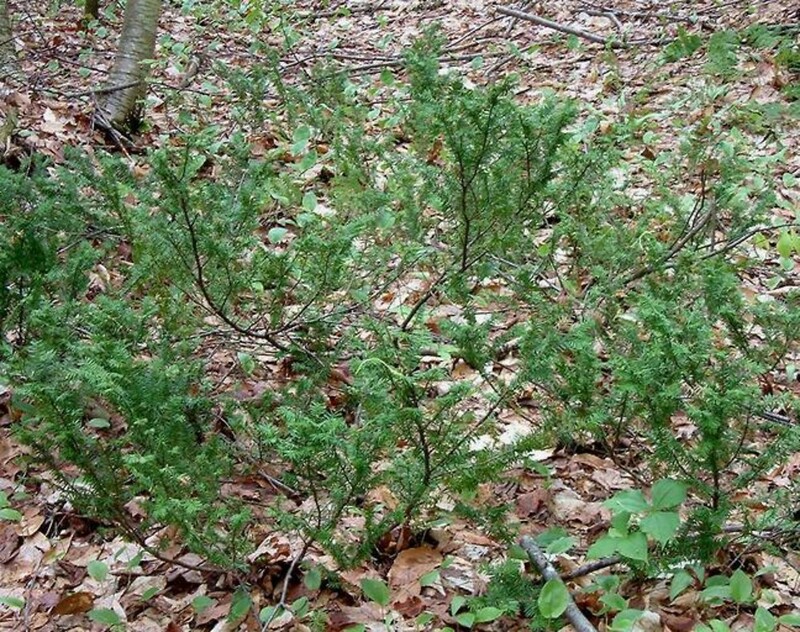 Moose and white-tailed deer feast on the foliage of American yew year-round. 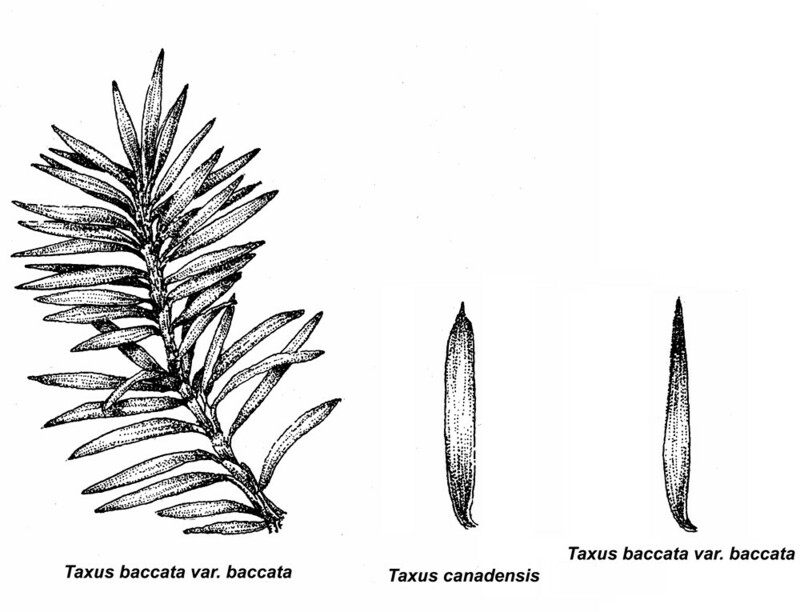 plants upright, leaf blades 2–3 mm wide, and petioles with an abrupt bend near the junction of the blade, clasping the branchlet (vs. T. canadensis, with low shrubs with straggling, diffusely branched habit, leaf blades mostly 1–2 mm wide, and petioles gradually curved or with an abrupt bend near the junction of the branch, not clasping the branchlet). 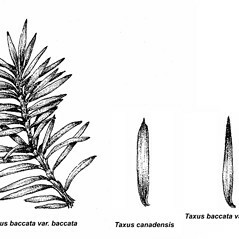 winter bud scales blunt at the apex, slightly keeled, and leaf blades gradually tapering to the apex (vs. T. canadensis, with winter bud scales sharply pointed to cuspidate, definitely keeled or folded, and leaf blades abruptly tapering to the apex). 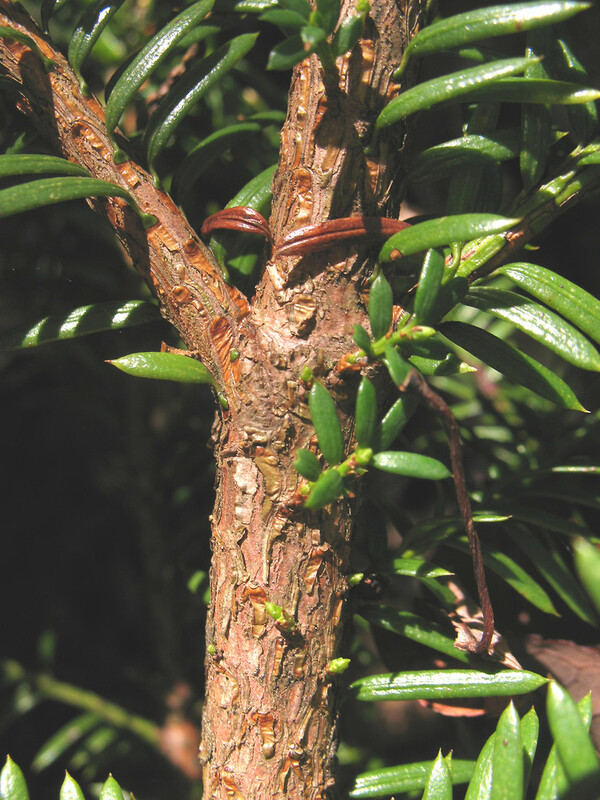 Taxus baccata L. var. minor Michx. 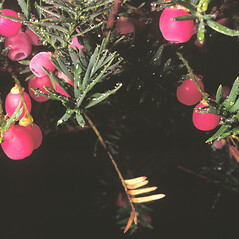 Taxus canadensis Marsh. var. canadensis is known from CT, MA, ME, NH, RI, VT.T. 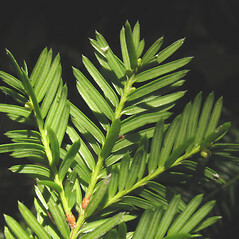 canadensis var. minor (Michx.) Spjut is known from ME. 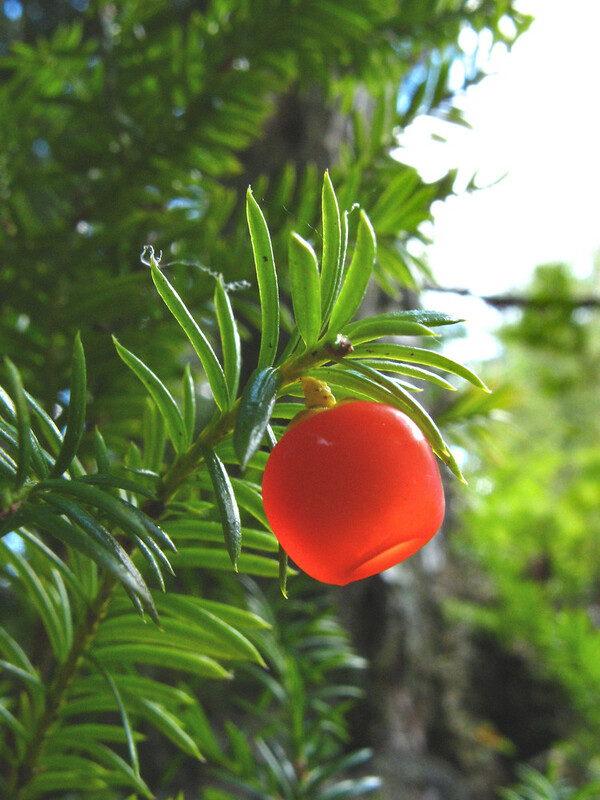 American yew. 2b. 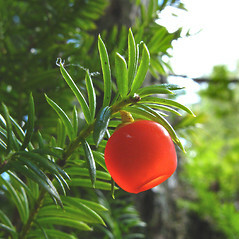 Taxus baccata L. var. minor Michx. 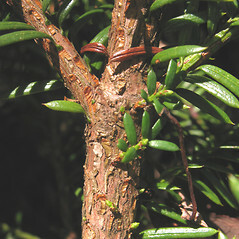 ; T. minor (Michx.) Britt. 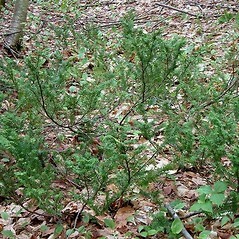 • CT, MA, ME, NH, RI, VT. Forests, predominantly deciduous and mixed evergreen-deciduous types. 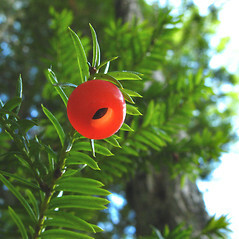 Variety canadensis is known from CT, MA, ME, NH, RI, VT. 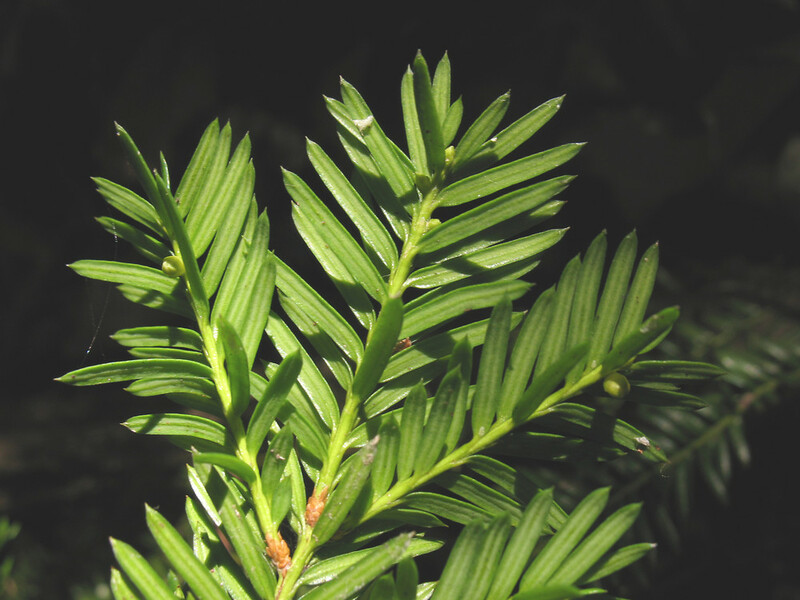 Variety minor is known from ME.